Sixty years ago a young Tennessee Williams wrote a play looking toward the year 2001. Stairs to the Roof is a rare and different Williams work: a love story, a comedy, and an experiment in meta-theatre with a touch of early science fiction. 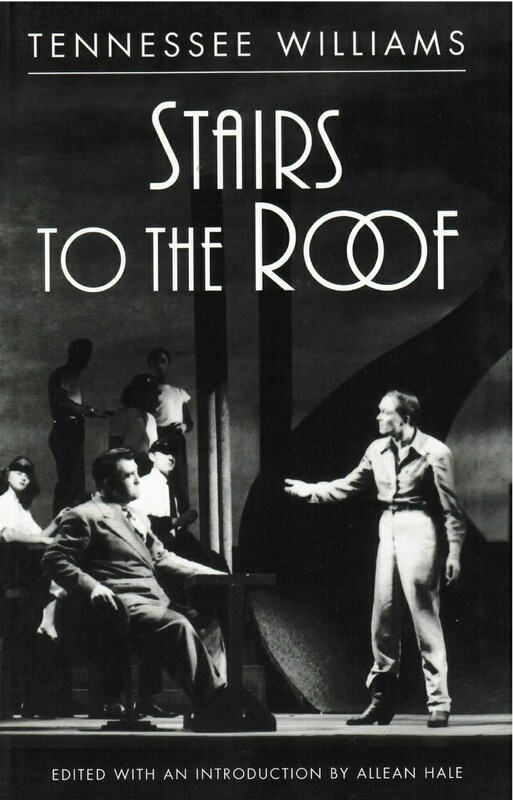 Tennessee Williams called Stairs to the Roof “a prayer for the wild of heart who are kept in cages” and dedicated it to “all the little wage earners of the world.” It reflects the would-be poet’s “season in hell” during the Depression when he had to quit college to type orders eight hours a day at the International Shoe Company in St. Louis. Stairs is Williams’ revenge, expressed through his alter ego, Benjamin Murphy, the clerk who stages a one-man rebellion against the clock, the monotony of his eight-to-five job, and all the dehumanizing forces of an increasingly mechanized and commercial society. Ben’s swift-moving series of fantastic adventures culminate in an escape from the ordinary that is in essence an endorsement of the American dream. In 1941, with the world at war and civilization in danger of collapse, Williams dared to imagine a utopian future as Ben leads us up his stairs toward the millennium.